When attending the PTS Academy Stadium, the best place for families to visit and sit together is our Mick George Family Enclosure in the East Stand. This is where a large number of our younger supporters sit to cheer on the Cobblers. 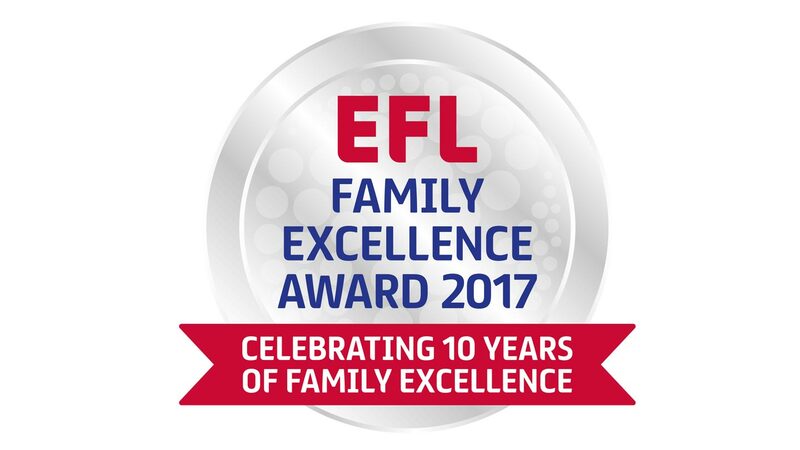 We pride ourselves on our family area and were recognises by the EFL Family Club of the year in 2016/17 and 2017/18 as one of the top 10 across all 72 clubs. Match days do really come to life in the Mick George Family Area with face painting, inflatable goal, a basket ball hoop, table tennis, free fruit fo r all children courtesy of Tesco, drawing and colouring and a special visit from some first team players and Clarence at 2pm for pictures and autographs. To book your tickets for seats in the Mick George Family Area visit www.ntfcdirect.co.uk. Come and celebrate your birthday with us on a match day and have great fun with all your friends, plus some great features along the way! Give that special young fan a day they will never forget by becoming a match day mascot! You never know who you’ll bump into by being a mascot at Northampton Town. For more information, please visit our Match Day Experience section or email christine.clark@ntfc.co.uk.